Setting up shop in the South Hall of the Los Angeles Convention Center, the folks at Capcom brought a handful of games to show off at E3 2015, including Mega Man Legacy Collection and Street Fighter V.
A child of the ‘80s, I made Mega Man Legacy Collection the first stop on my Capcom tour. Announced about a week ago, this collection pulls together the first six Mega Man games to originally appear on the Nintendo Entertainment system. With Digital Eclipse on a mission to perfectly recreate the feel and look of the source material, players can expect six full games starring the Blue Bomber, as well as some additional challenges and lots of historical. The first two Mega Man games were available to try out, which is how I was quickly reminded that my mindset is in need of altering if I’m going to last long in these games. They’re just as challenging as I remember. Both games had a glossy sheen, but they still manage to sport that classic NES look. Oddly enough, one of my favorite features includes the ability to change the way the screen looks, adding the scanlines you’d expect out of an old-school TV or monitor. Seeing Mega Man II look exactly as I remember from my childhood certainly delivered a nostalgic sting or two. I also had the opportunity to check out the Database, which is overflowing with information on all of the characters and bosses in the games. You could even look up a boss’ weakness, then jump straight into a fight against them to put your newfound knowledge to the test. I then took a moment to peruse some of the Museum content, which features loads of digitized art from licensing guides and the like, as well as original sketches, concept art and more. Finally, I had the opportunity to tackle a couple of the game’s challenges, which take content you know from the existing games and remix them in interesting ways. You could be playing a short section from the Mega Man Cut Man level, for instance, hit a portal, and be teleported to a section of gameplay pulled from Mega Man II. That may in turn lead to another portal that drops you into a chunk of gameplay from Mega Man III, and so forth. Set to launch this September, you can grab Mega Man Legacy Collection for the PlayStation 4, Xbox One, Nintendo 3DS and PC for $14.99. A new Street Fighter is inbound and, as was previously announced, it’s coming exclusively to the PlayStation 4 and PC. A pair of new characters were also revealed a bit earlier on in this year’s E3, including Cammy and Birdie. 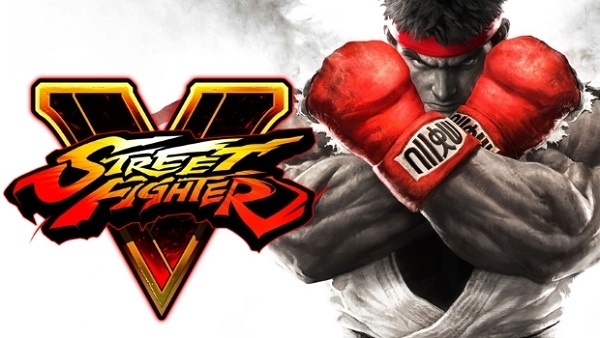 Now that I’ve had the chance to give Street Fighter V a quick test run, it’s safe to say that fans of the series are in for more of exactly what they desire: Beautiful graphics, brutal battles and some super flashy special moves. I’m not exactly a Street Fighter vet, so I fell back on the familiar and noob-friendly Ryu in a battle against Chun Li. The purpose of this demo was to explore the new battle system additions, including the Variable System. Each character’s “V-Systems” perform a little differently but, basically, taking damage builds up a gauge that can be utilized to help turn the tide of battle. One of Ryu’s abilities, for instance, gave him a nice parry move. Chun Li, on the other hand, used the same trigger to perform a shorter jump than you might be used to out of the typically floaty fighter. When the going got tough and our meters started to fill, we were able to initiate V-triggers. Ryu’s added an electrical effect to his more powerful attacks, making heavy strikes and hadoukens especially dangerous. Chun Li’s triggered a similar effect, only with water powering her fast and furious kicks. I also got to see how Birdie’s V-Meter worked, fueling his rage with, um, snacks. Hitting the trigger in a standard fashion has the guy eat a donut, which gives his meter a boost. Hitting it alongside a D-pad command, though, can alter the effects. One move had him eat a banana and drop a peel that I could actually slip on. Another had him drink a soda and roll the can toward me, which actually does a little damage. His ultimate form was triggered by eating a pepper, which made Birdie more powerful and even changed his outfit. I didn’t get to spend enough time with Street Fighter V to do a deep dive, but even a couple of matches were enough to demonstrate the changes that the V-Gauge is adding to the mix. More importantly, I liked that these abilities seem to operate a little differently for each character, adding a whole new depth of strategy to an already thoughtful fighter. To check it out for yourself, don’t forget to get on that beta bandwagon.